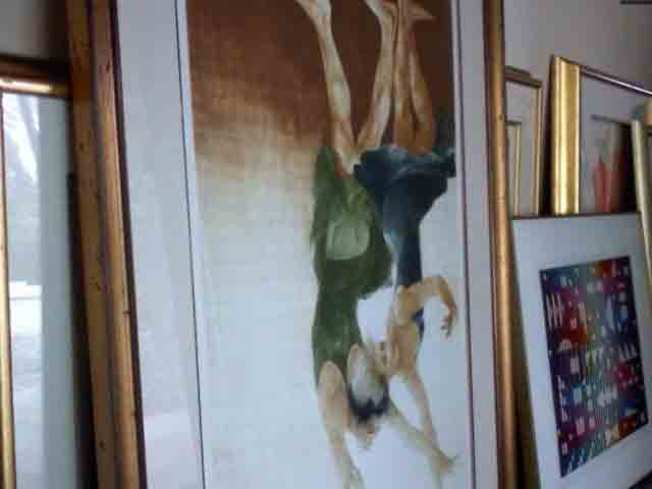 Art collection stolen from Pebble Beach home was not insured. Amadio and Dr. Kennaugh are offering a $1 million reward for the return of the stolen artwork. The work, however, must be in original, undamaged and unharmed condition. Authorities are investigating a brazen art heist that resembles the plot of an edge-of-your-seat Hollywood whodunnit: $80 million in paintings by the likes of Jackson Pollack, Rembrandt and Van Gogh stolen from the Pebble Beach home of two wealthy men. Suspicion from the owner's of an inside job by someone familiar with their collection. Two rewards offered totalling $6 million. And now a ransom note demanding money and threatening death. "I mean we could be killed over art work, over stuff we purchased for a small amount of money because we're in investments and made the right moves," said Ralph Amadio, one of the owners of the collection. "Now people want to kill us over it. That's unbelievable." Monterey County sheriff's deputies have called in a team of art experts from Los Angeles to help in their investigation. The brazen theft occured at about 6:30 p.m. Friday in the rented home of Kennaugh and A. Benjamin Amadio. The paintings were stored in protective packaging, and Amadio and Kennaugh believe the theft was an inside job by someone familiar with their collection, which was not insured. "I think the people that stole it, No. 1, knew what we had, and 2, probably had buyers for the artwork before they went to take it," Kennaugh said. "I think chances of getting it back are slim." Amadio and Kennaugh wouldn't say if they plan to pay the ransom. The business partners have offered two rewards -- $1 million for the return of the stolen art, and $5 million for information leading to the arrest and conviction of the thieves -- and hired private investigators to advise them on their decision. Both Amadio and Kennaugh are originally from Massachusetts. Amadio is an entrepreneur, while his housemate, Kennaugh, is a retired Harvard medical professor. If anyone has any information about the Pebble Beach theft can contact the Monterey County Sheriff's Department at 831-755-3765 or the Law Office of Vicki St. John at 831-250-7232.